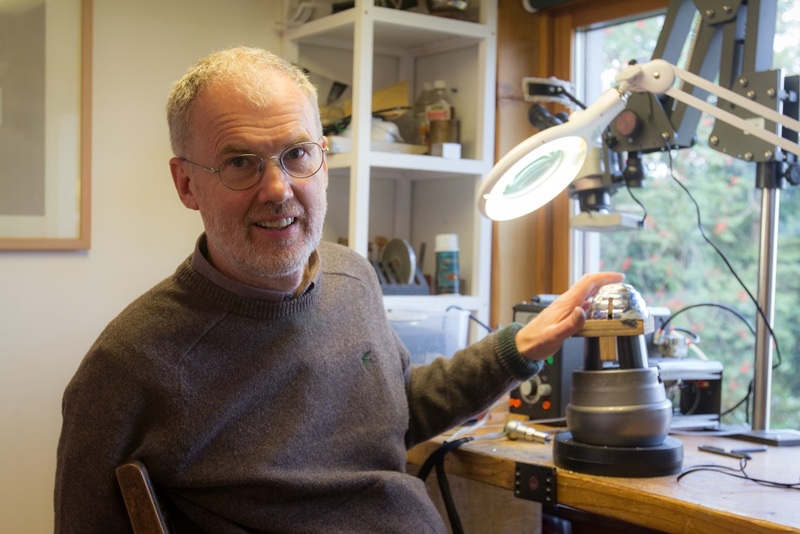 Read on to find out more about Graham’s work, to view his gallery and videos of an interview and demonstration of his craft. 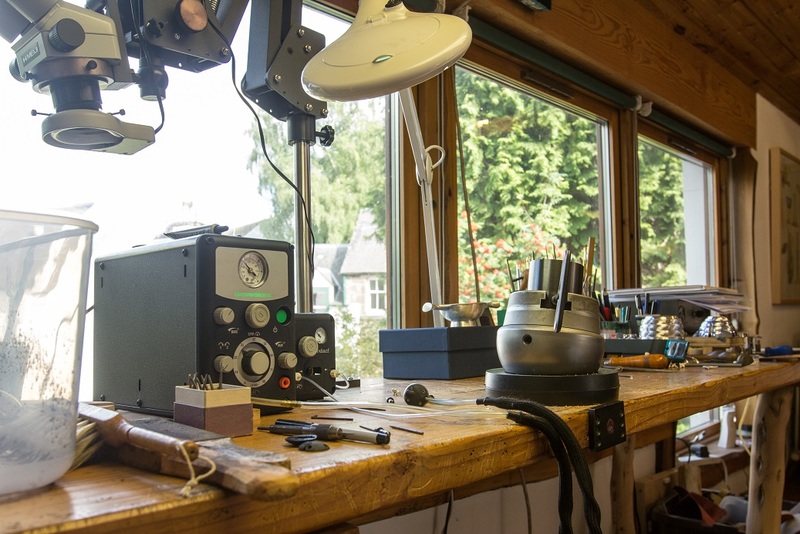 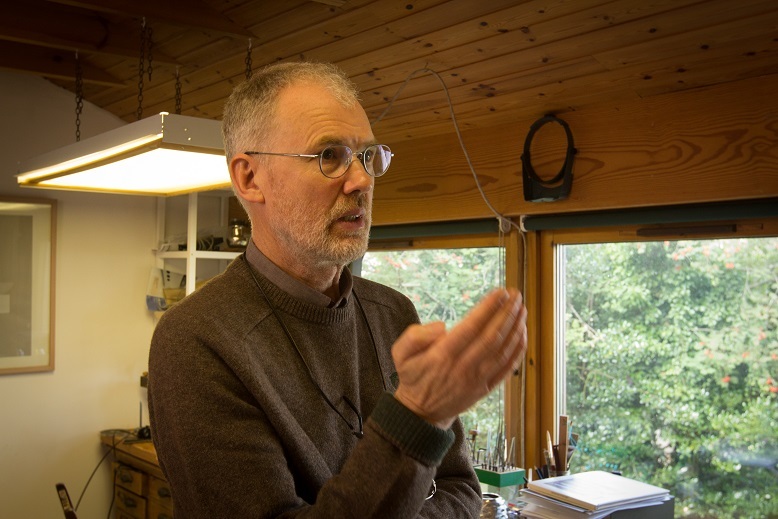 Graham Stewart is a designer, gold and silversmith who has been running his workshop and gallery in Dunblane, Scotland since 1978. 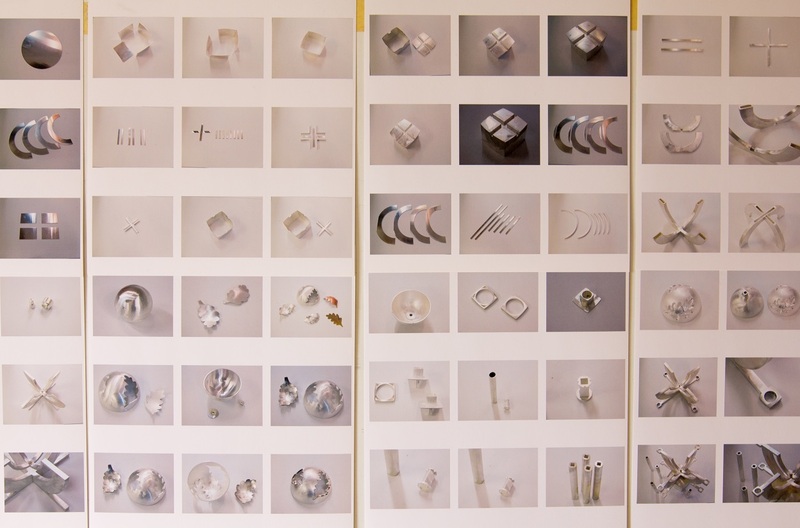 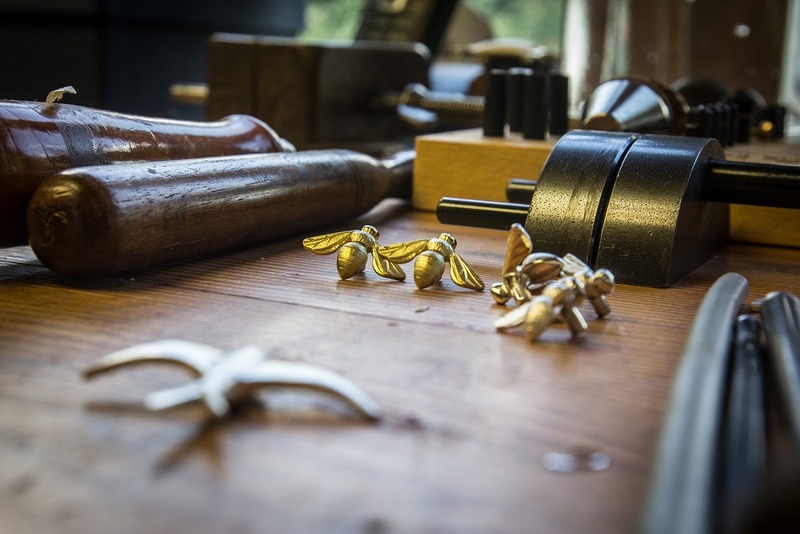 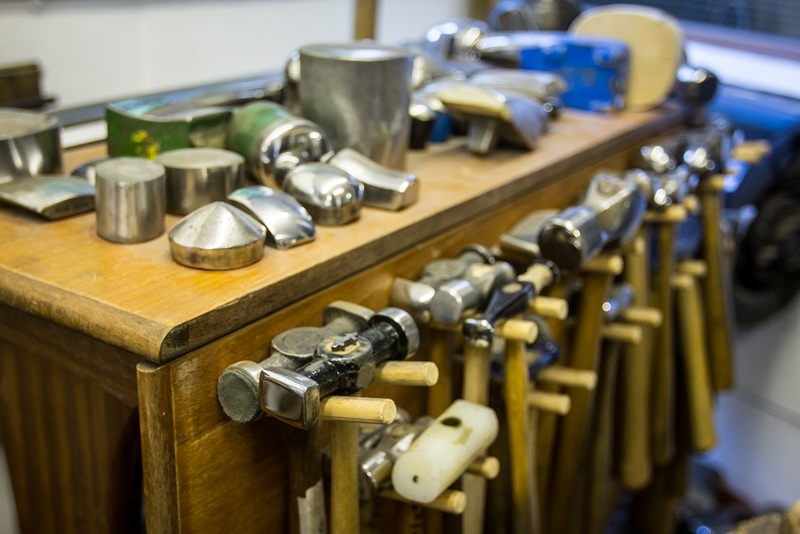 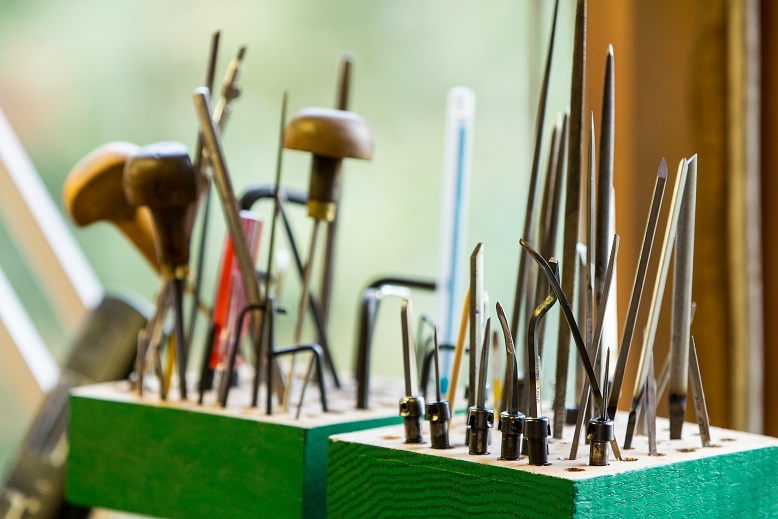 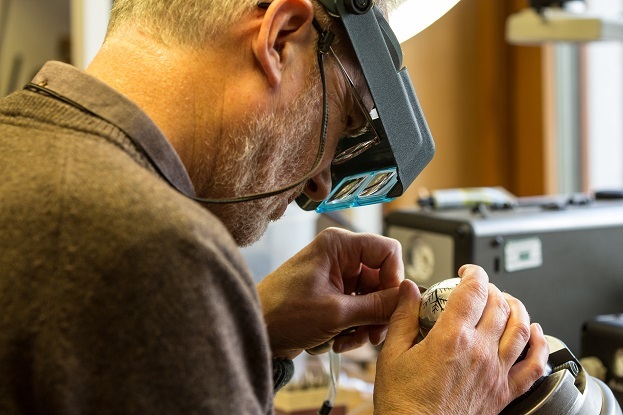 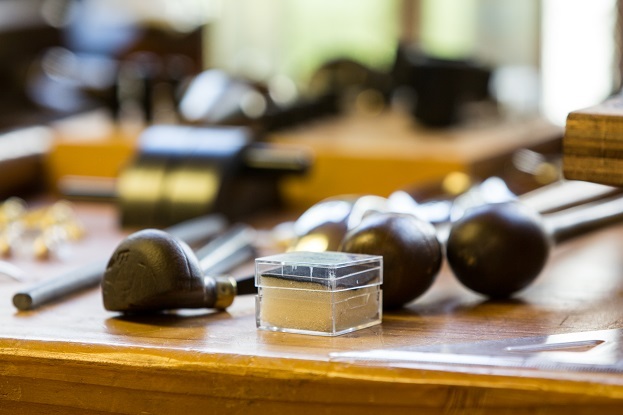 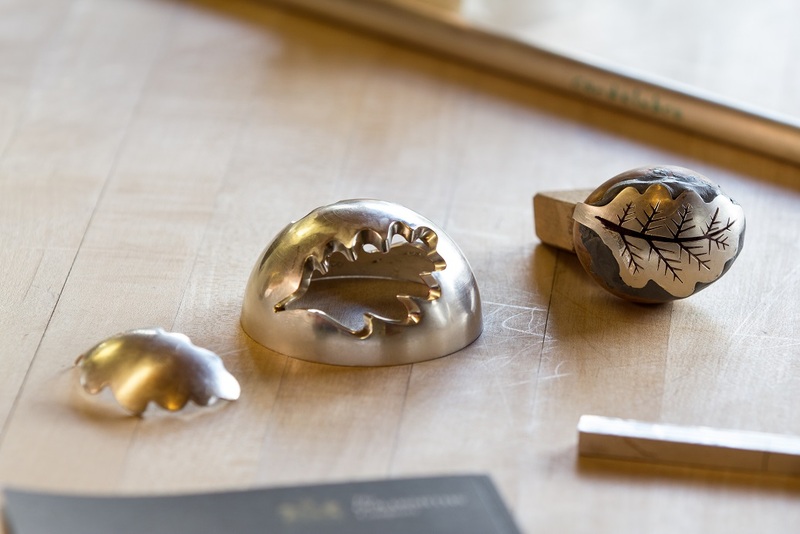 Working with his small team of skilled and long-established craftsmen, he produces innovative, clean-lined sculptural pieces of silver, from high-profile commemorative presentation pieces to fine quality functional silver. 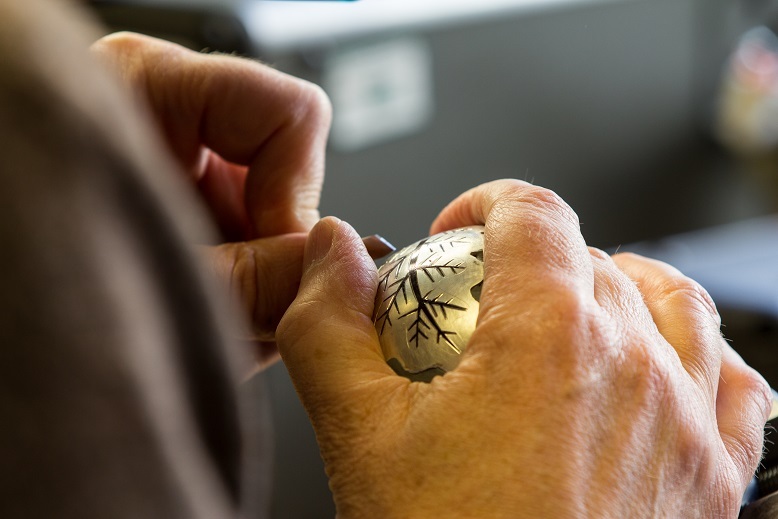 The silver is produced using traditional techniques such as raising, spinning, cold forging, planishing and chasing. 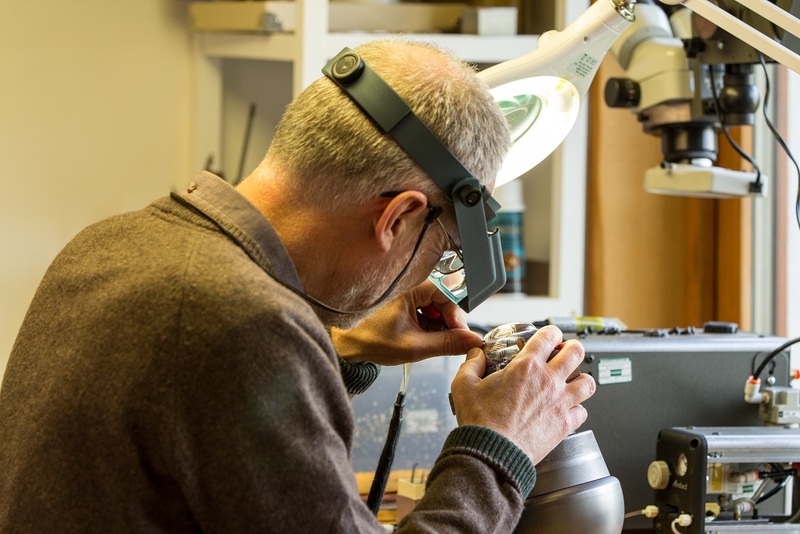 Graham specialises in fine hand-cut engraving. 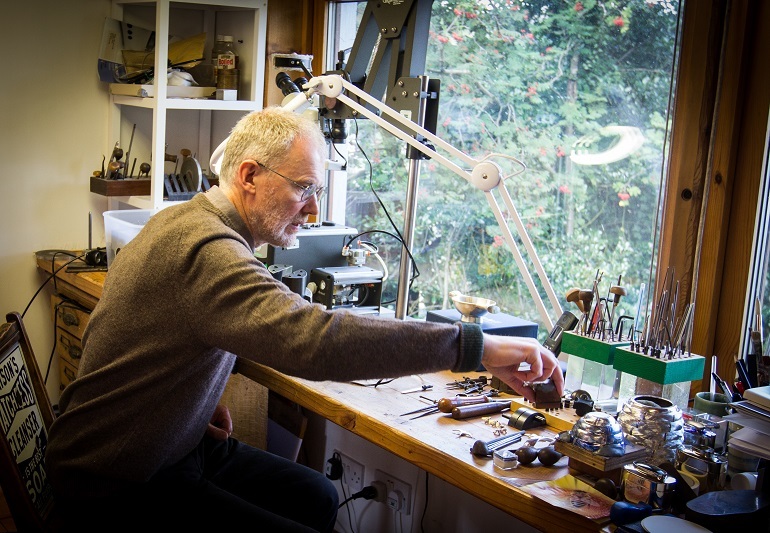 He also designs and makes a small range of fine jewellery. 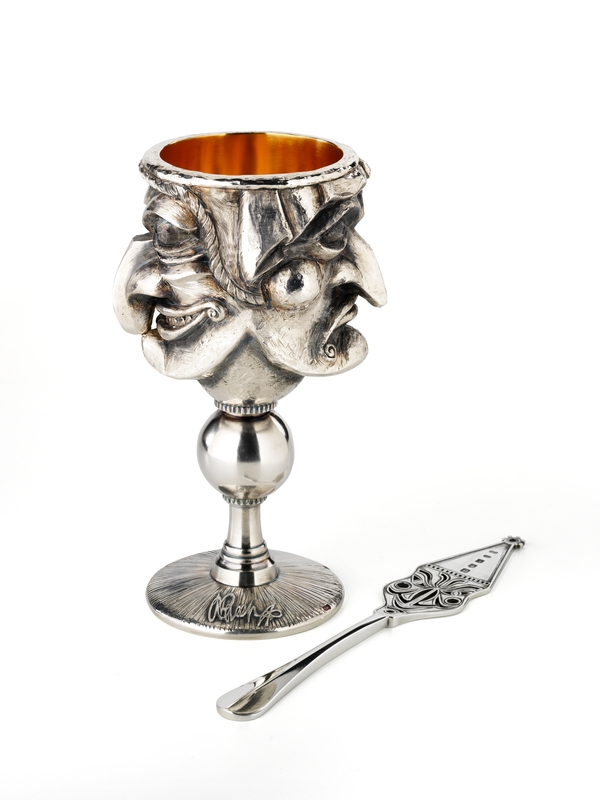 Graham produced the absinthe goblet, which was designed by Alexander McQueen. 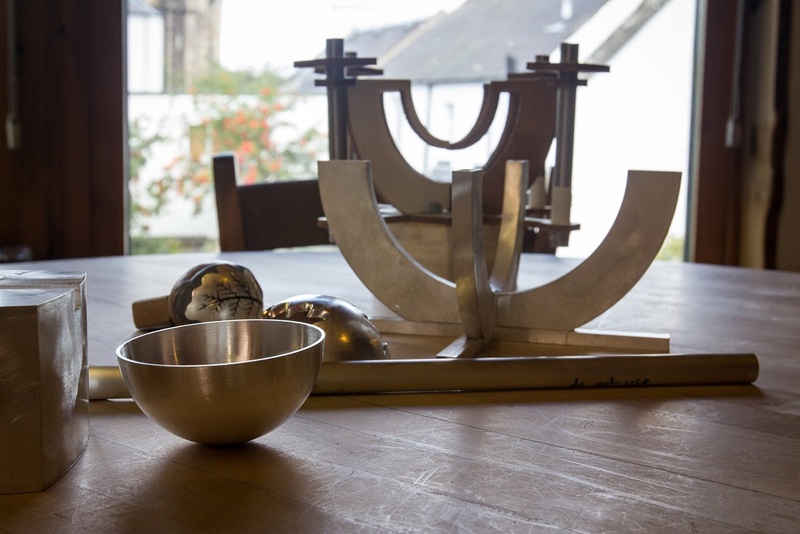 To produce the design, Graham moved away from the more natural forms of his usual work. 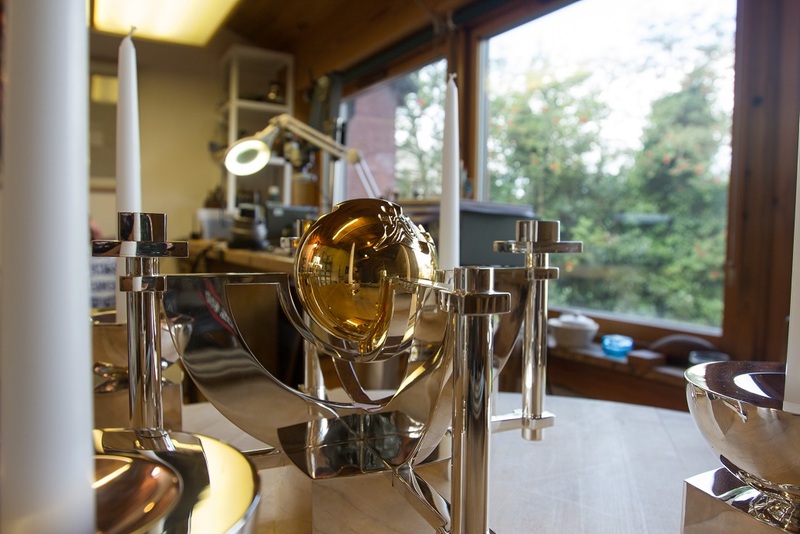 He modelled and carved the goblet in wax before having it cast into silver. 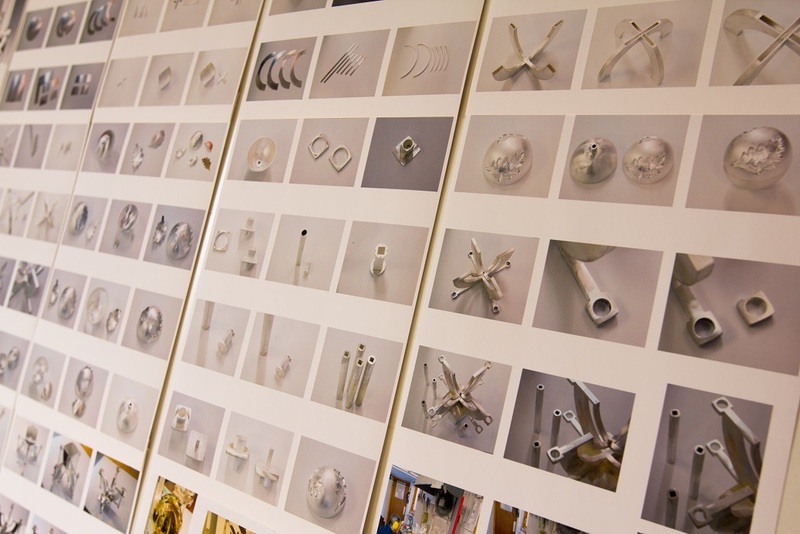 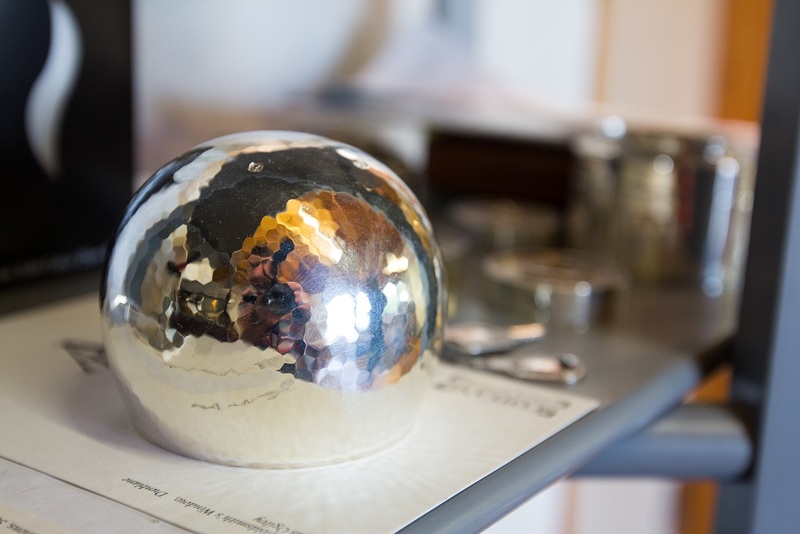 The casting was an incredibly difficult process due to the sheer weight of the silver, at almost 2.5kgs! 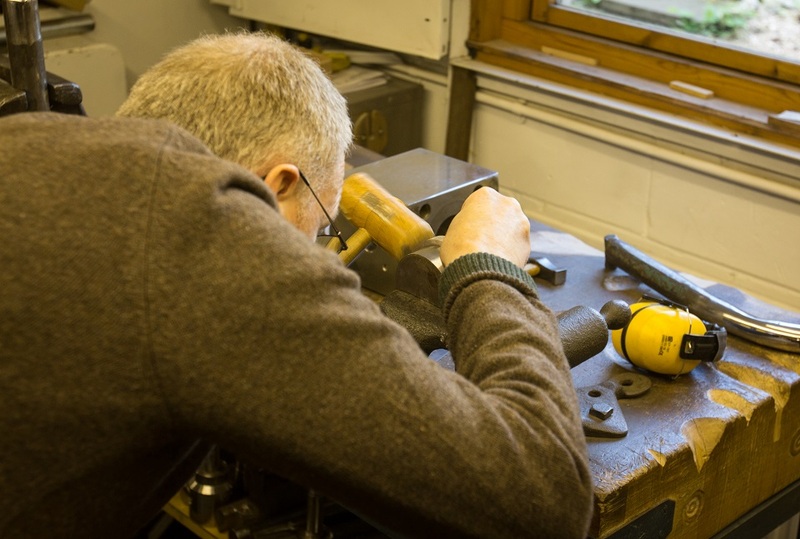 Once the casting was complete, Graham soldered the piece together. 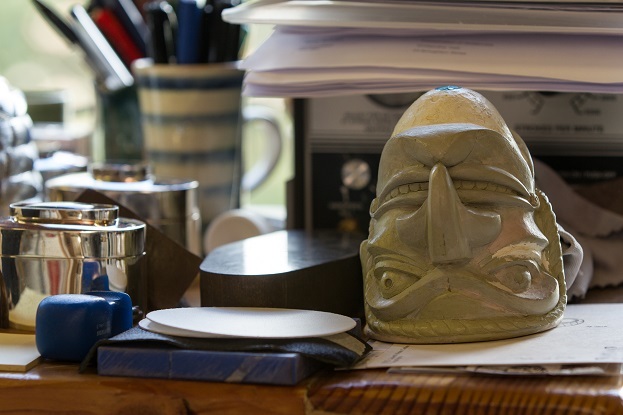 He then completed the work with more carving and chasing, and chiselled the foot of the goblet to leave Alexander’s signature in relief. 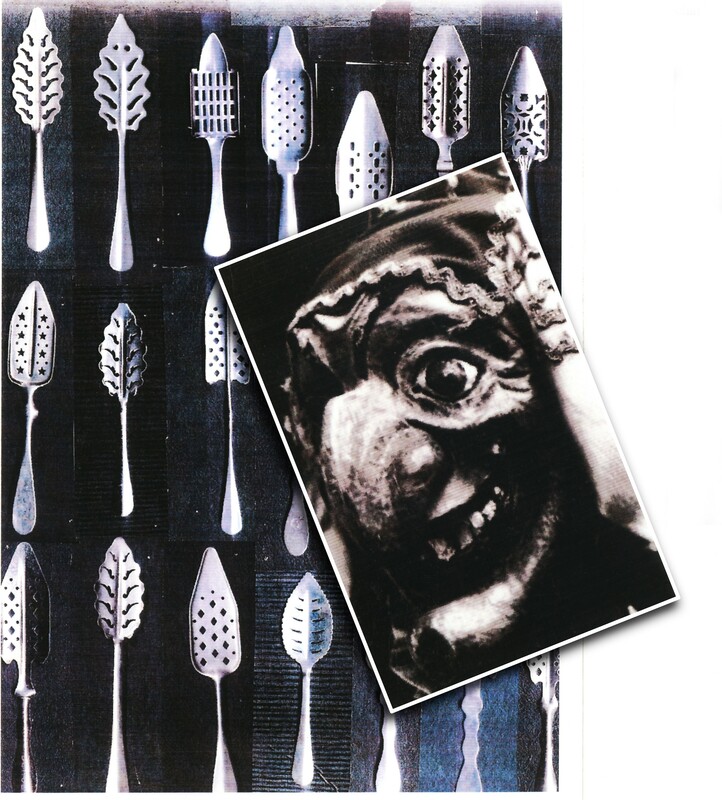 The spoon was hammer forged, before being pierced and carved.